This beautiful girl is Birdie! 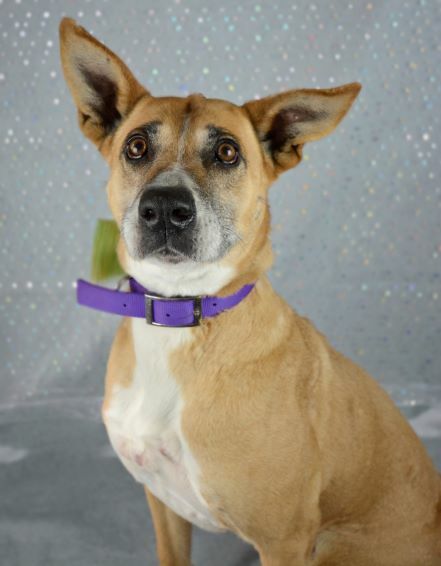 Birdie is a six year-young dream doggie-companion – she is good with human company of any age, most dogs, and already has all of her up-to-date vaccinations, is spayed, and microchipped! Not only that, but she has done well with crating and is really just looking for a spot where she can lay in a comfy dog bed and keep herself entertained with stuffed toys. Sounds pretty great, right? A very generous lifesaver sponsored Birdie’s adoption fee – which means that she can go home with you for free! To make Birdie a part of your family, visit Providence Animal Center, in Media to meet her and all of her furry friends! Providence Animal Center hours for adoption are Monday through Friday from 12:00 p.m. to 7:00 p.m., Saturday from 11:00 a.m. to 6:00 p.m., and Sunday from 12:00 p.m. to 5:00 p.m.